Let me preface this by saying that I am not a racist, white supremacist zealot who believes the confederate flag should be widely flown over state capitals in the south. I am a woman who grew up in the 60’s, a woman with vivid memories of what segregation was and the suffering of those who struggled to end that tragic era in American history. I cry when I watch the movie The Help. I celebrate when I “Remember the Titans”. I have a painful memory of my dad, in his ignorance, telling Mother that he was reluctant for me to ride to school with “those boys” in the 1950s in Indiana (a state so much more progressive than his home in the south). I didn’t understand that he was talking about the color of their skin. But, a flag is just a piece of cloth, a part of this country’s history. It has no power to think, to plot, to obtain a weapon, or to pull a trigger. Destroying every confederate flag, every likeness of one, will do nothing to end the violence that marks our culture The confederacy existed. The Civil War happened. Changing school mascots and fight songs (Fort Smith’s the Rebels and “Dixie”) will not heal the wounds caused by bombs and bullets and words. Changing the name of a street named “Confederate Boulevard” will not cause one extremist, one terrorist, one mentally deranged, one hate-filled and evil individual to forget their desire to injure innocent people. Destroying all reminders of that tragic chapter in America’s history puts us at risk of forgetting the reality–that American blood was shed on this soil because of man’s desire to control and use others for monetary gain, because of political forces desiring more power for the states and less for the federal government, and because of the ill-conceived and non-Biblical notion that all men are NOT created equal and that the color of one’s skin or the home of one’s ancestors is a formula to measure that individual’s worth. Maybe we do need to see this flag occasionally, to remind us of just how bad things were. To remind us of the horrors of an America disunited. To inspire us to be more tolerant, more loving, more kind, and more prayerful. History exists so that we can learn from our mistakes. Have we really learned the lessons of the Civil War? The flag is not the problem. People are the problem. Evil exists in this world. Sin exists. Human nature is not perfect. We need more than just our humanity to keep us in line. We need God. Our land needs to be healed. Not just to be healed of those who cause mass murders and terrorist attacks, although, of course, we all desire that those events should cease to exist. But to be healed of thinking that we can handle it all by ourselves. Our American tendency to a belief that independent individualism is the answer to all things is inherently flawed. This country was founded by men of faith. 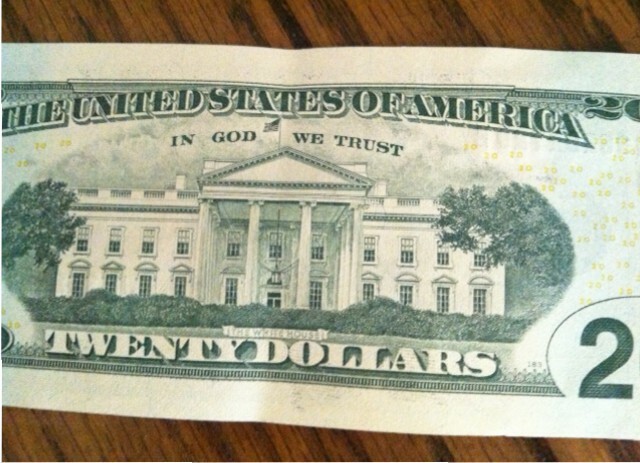 Our money reads “In God We Trust”. I’m afraid that we are trying to blame these tragic events on flags and guns and other inanimate objects that have no power to think or act on their own. It is human nature, which is by definition sinful nature and subject to evil influence, that attacks our land and the peoples of this world. Let us remember in whom we trust and remember his promise as quoted above. Let us each search our hearts for any errant ways and ask God to heal this land, beginning with “me”. Previous post“Freely Given”, a year later. . . .
Next postA new perspective. . . . .